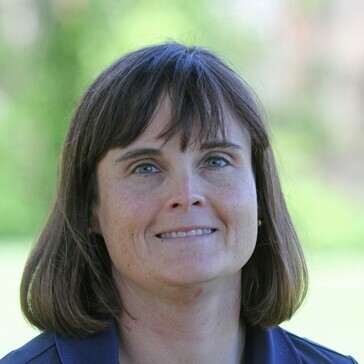 Lisa Rogers comes to the Learning Center at Reston National with 20 years of experience in the golf industry. She was introduced to golf by her father at a very early age and instantly fell in love. Lisa was born and raised in Plainfield, NJ where she got her golf career started by working at the Plainfield Country Club, a Golf Digest top 100 course, at 15 years old. During high school, she became a groundbreaker when she became the first girl to play and start on the boy’s golf team for all 4 years. After high school, Lisa had the honor to be admitted to Wake Forest University, where she played on the Women’s Golf Team from 1991 to 1994. During the summer of her junior year of college, she reached a dream of hers, winning the 1993 New Jersey State Women’s Amateur Championship. In the spring of 1995, Lisa decided to pursue her passion for golf by turning professional after being hired for her first Assistant Golf Professional position in Northern New Jersey at the Knickerbocker Country Club. Lisa spent 15 years at Knickerbocker, during which time she became a “Class A” Member of the PGA of America in 2001. After her time at Knickerbocker, she then moved onto another course in Northern New Jersey, Alpine Country Club, where she spent the last 5 years, the last year as a teaching professional. In 2014, Lisa was also able to join and become a Member of the LPGA Teaching & Club Professional division.